f you find your password on the list below, chances are you have been hacked, are in the process of being hacked or are very lucky. Change your password now. 2016 left a scar in the world of cyber security, from hackings such as Dropbox, to Russian spies hacking the American voting system; all these hacks have made 2016 the most memorable year of serious cyber security breaches. The year mostly saw hacking of accounts, from VK to Myspace; something concerning to say the least. Why? Because for hackers, compromising servers and collecting passwords is making their brute force attacks all the more powerful. Many systems and cyber security companies, such as Keeper, have dug into this matter. They’ve come up with research suggesting the hacks alone in 2016 saw 9 million passwords compromised. Their study also suggested that more than 15 percent of the passwords hacked were as easy as 12345678, which, according to the company’s research, suggests some 17 percent of accounts were compromised. This password was not only on last year’s list, but it was also popular in 2014 and 2015, ranking in the top ten as the most commonly used passwords. If the 12345678 password doesn’t make you think ‘what’s wrong with people’, then the next level of laziness may do so. The password ‘qwerty’ also ranked in the top ten. However, according to Graham Cluley, who made his name in the field of cyber security, compromised passwords such as, ’18atcskd2′ and ‘3rjs1la7q’ are passwords that were created by a software. The reason why they showed up was because of bots used in posting spam emails. There was yet another notable password called ‘letmein’; showing a lack of creativity. 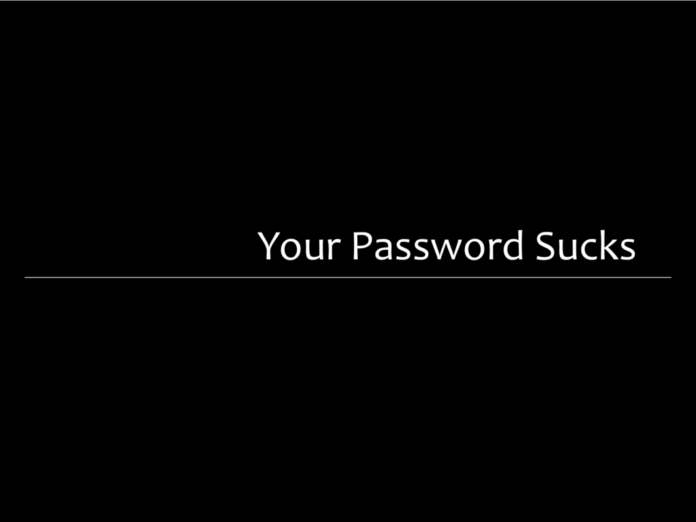 Though one could laugh hysterically while looking at the list of passwords that hackers have collected over the years, the webmasters who are reading this should be aware that users on their website are their responsibility; if a user creates a weak password, then, in the end, it is the website that will get the bad reputation. Moreover, users should be responsible enough to come up with passwords that aren’t so easily hackable. Non-dictionary words are best – or make up a word such as MyN@m3!$@N0nDO$. Create a word that can’t be easily found. Below is a list of passwords easily hackable. If you have a password(s) from the list below, we strongly recommend you change it today.